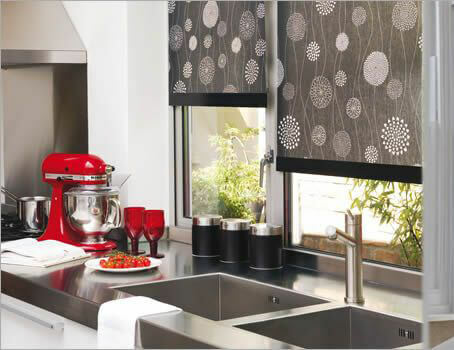 Roller blinds are perhaps the most well know blind for the domestic environment. The roller blind materials are always keeping up with the newest trends so they blend flawlessly into your current decor. If you are looking for a roller blind for the bathroom or kitchen take a look at our durable, moisture resistant, easy wipe roller blinds. You can also make the roller blinds completely child friendly by making them spring loaded so no chain is required. All of our roller blinds are made to measure to fit perfectly at your window.